With Adepticon prep pretty much finished, its time for fun projects until I leave. 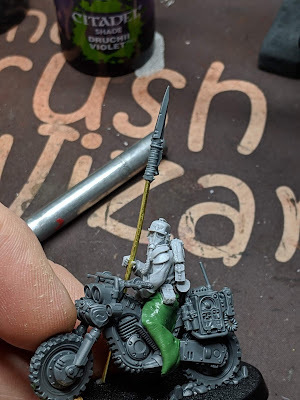 This week, I finished up Captain Barbossa and got started on some new Steel Legion models. 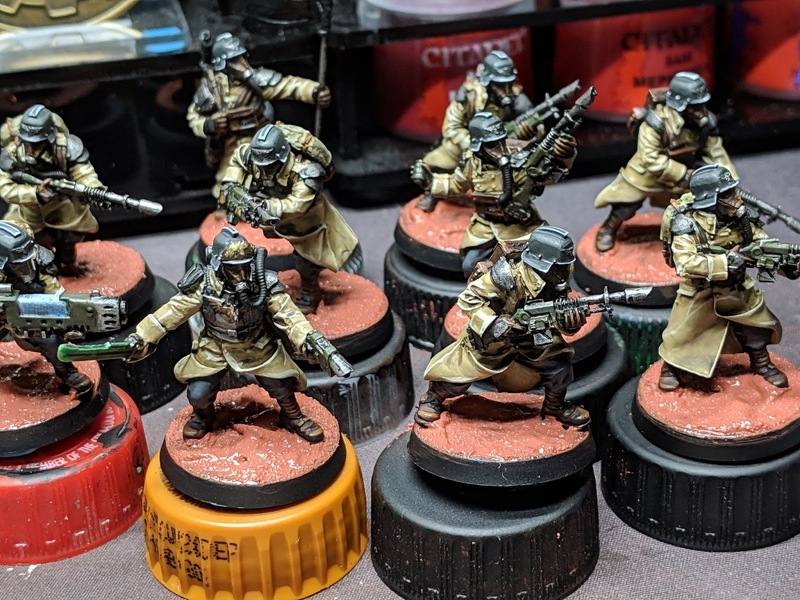 I'm planning on bringing the Steel Legion dudes to Adepticon as well for Kill Team and pick up games. So far, it's looking promising that I'll have everything done in time. 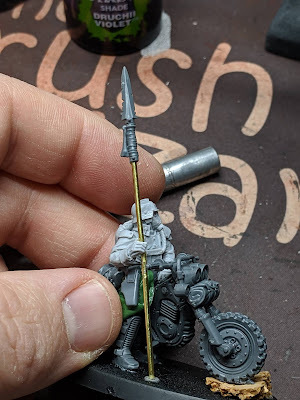 I also used some spare parts to make a motorcycle riding Steel Legion Commander. He turned out really rad. Let's check out this week's progress! This fella was finished up on Sunday and I really like how he turned out. 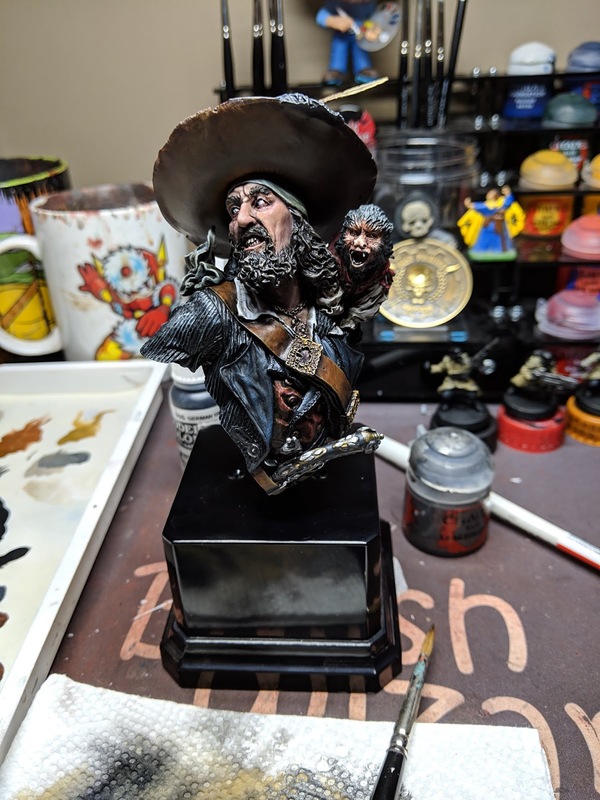 While I didn't end up super movie accurate, it feel like this is a step in the right direction as far as bust painting skills go. 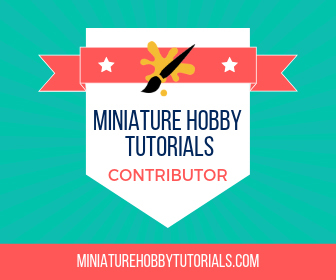 I'll have him as next week's Miniature Monday, the last one before Adepticon. This week I started on a new ally force for the Deathwatch. I've always liked the Imperial Guard's tank options and the overall look of their army, but really dislike Cadians. After reading about Steel Legion, I was sold on them but there was one problem. The official models are discontinued. 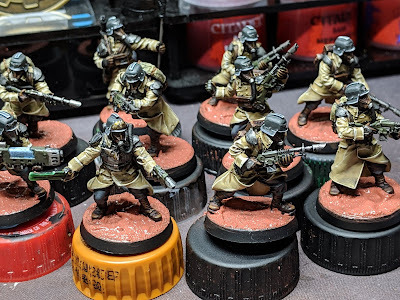 The only option was to use the equally awesome Death Korps of Krieg models as Steel Legion soldiers instead. I am loving this so far and the plan is to do a battalion of mechanized infantry, backed by tanks and artillery. That's right, I'm doing an outrider deattchment of DKoK and painting them up as Steel Legion. I had originally planned to use the index entry for Rough Riders, but after some consideration it seems like it might be a better idea to do DKoK Death Riders instead. This fella is my test model and will also be the commander. I used a left over DKoK Advancing dude and the GSC Alphus model for him. The spear was made using a bit of brass rod and a spear tip from the BoC Ungors kit. I really like how he's come together, though I probable could have done better with the lower part of the coat. That's it for now. This is the last Wizardry in Progress write up before Adepticon. This time next week I'll be nerding it up with my bros in Schaumburg, Illinois! I can't wait!